Once again we are glad to share the latest work of Alexan Sarikamichian with Fran De La Fuente. A short story of encounters and miss encounters between a man and a woman, through their search of new and more sensations. SENSES is almost a love story, of two youngsters immersed in a virtual and digital world seeking to explore new ways of feeling. 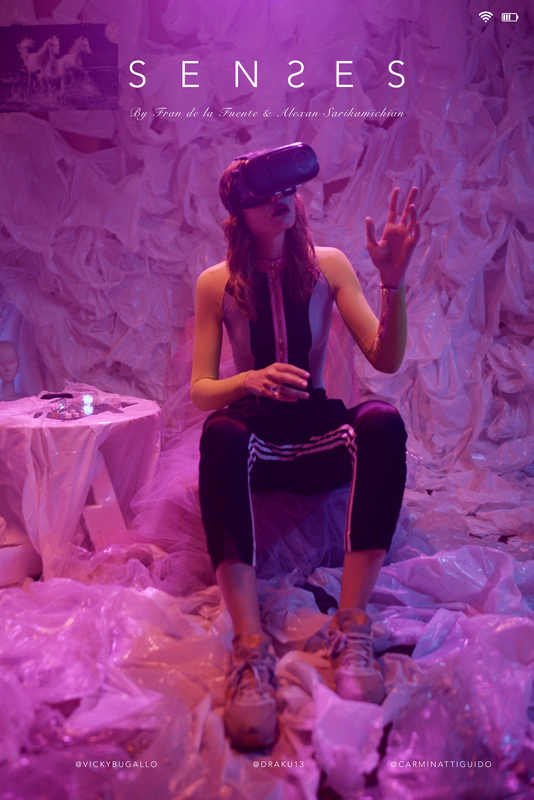 SENSES portrays our way of connecting with each other in a NEAR FUTURE, and opens up the possibility of thinking about LOVE in the DIGITAL ERA. Will there be an EMOTIONAL CONNECTION through digital mediums? Will the VIRTUAL REALITY technologies introduce us to NEW SENSATIONS? We live this almost-love story of the CONECTION between two youngsters through ENCOUNTERS and MISSED ECNOUNTERS that could as well be real or product of their imagination. Thanks to technology, we are more and more connected, we get to know each other, interact, even fall in love through digital platforms. With a Fashion Film aesthetics and strong and cinematic visuals, this film portrays an intimate story of two characters in the constant search of new and more sensations, with whom many of us could identify. The aesthetic care is linked to the tendency of people in their attempt to reflect the best of their personality and making visible to the world how unique they are. We open up the idea to believe there is a digital and communicative revolution that may lead to a new variety of sensations.